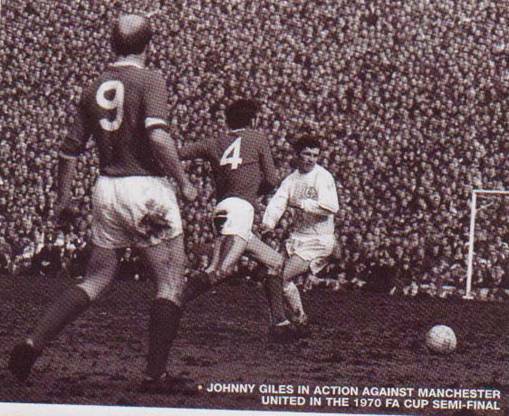 Date: Saturday, 14th March 1970. Scorers: Leeds United: Nil. Manchester United: Nil. 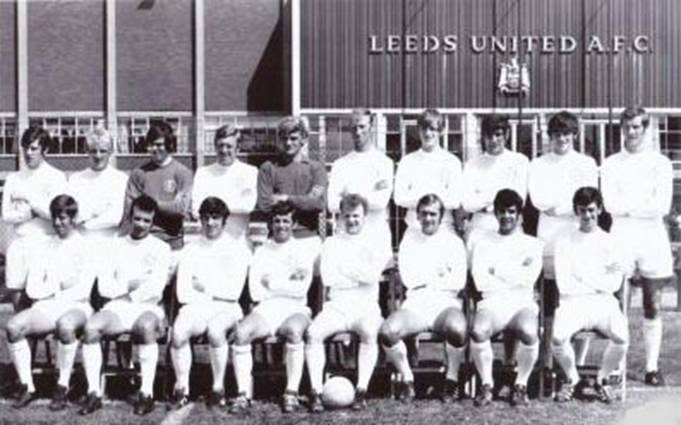 Leeds United: Sprake; Reaney, Cooper; Bremner, Charlton, Hunter; Lorimer (E. Gray), Clarke, Jones, Giles, Madeley. 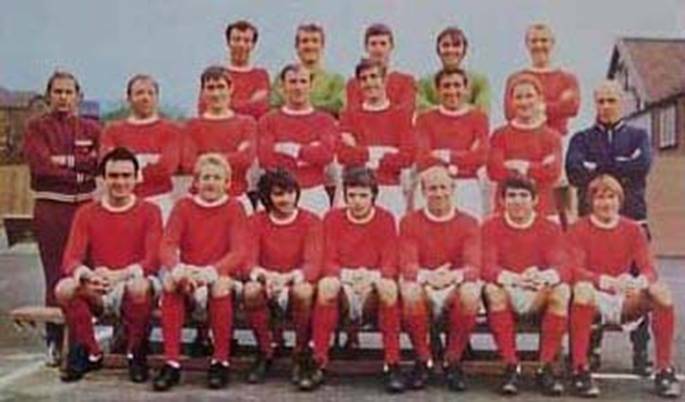 Manchester United: Stepney; Edwards, A. Dunne; Crerand, Ure, Sadler; Morgan, Sartori, Charlton, Kidd, Best. Unused Sub: Burns. 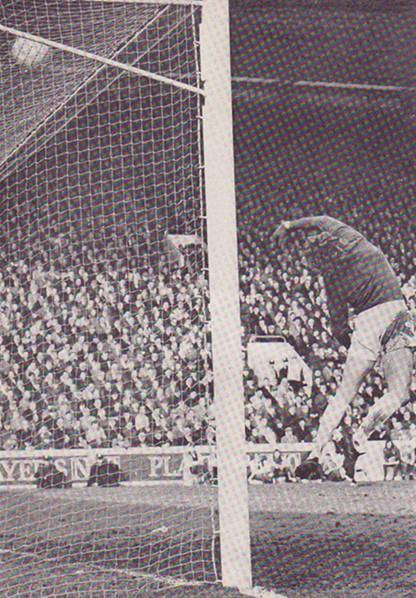 History repeated itself as the two Uniteds from either side of the Pennines slogged out a goal-less draw at Hillsborough. 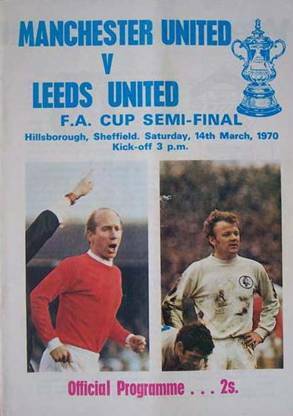 Five years earlier the Roses rivals had fought, sometimes literally, on the same ground to contest the right for a place in the Wembley Final. 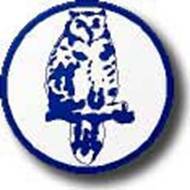 It was the usual hard fought, no quarter asked or given, fire and brimstone clash between the two long-time protagonists for English titles and trophies, but fortunately the game had none of the spite and venom that had marred the meeting of the two clubs at the same venue five years previously. 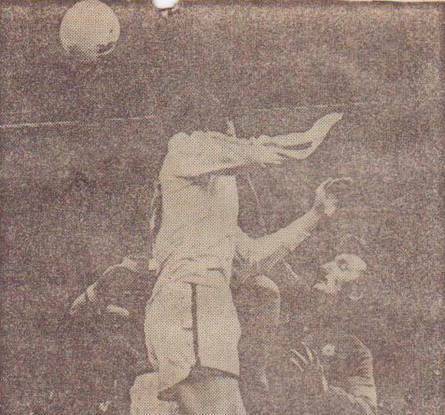 The 1970 version, although another blank scoresheet, was a far better spectacle than the ugly tussle of 1965. It was a match everyone wanted to see with ten shillings tickets changing hands for £8 on the black market. 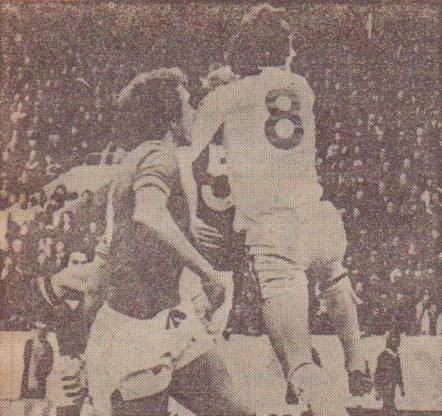 It came with United pressing on three fronts for domestic and European silverware and just four days before they were due to meet Standard Liege in their return leg of the Third Round of the Inter-Cities Fairs Cup. 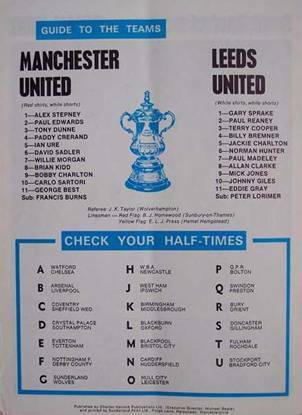 Both teams had pre-match injury doubts surrounding forwards, Mick Jones for Leeds and Brian Kidd for Manchester, but both took their places in the starting line-ups. 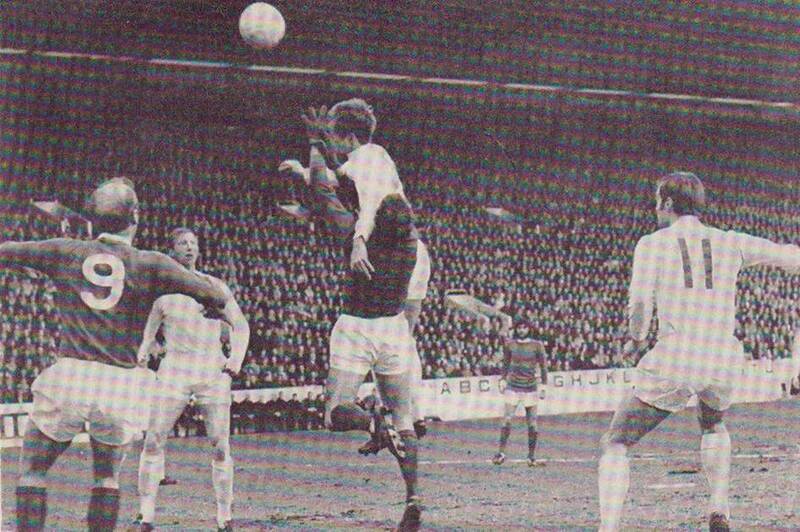 It was Manchester who raised their game to dominate the first half as their new young midfield starlet, Carlo Sartori, got the better of Billy Bremner. 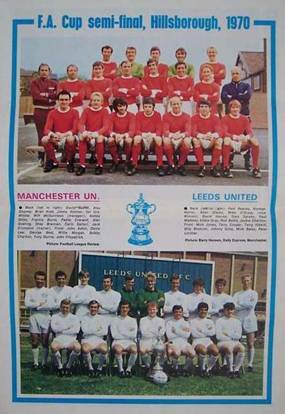 Yet Leeds could have snatched a dramatic first minute goal as Ian Ure misjudged a long clearance from Gary Sprake and Mick Jones ran on to force Alex Stepney into a brilliant save at the expense of a corner. 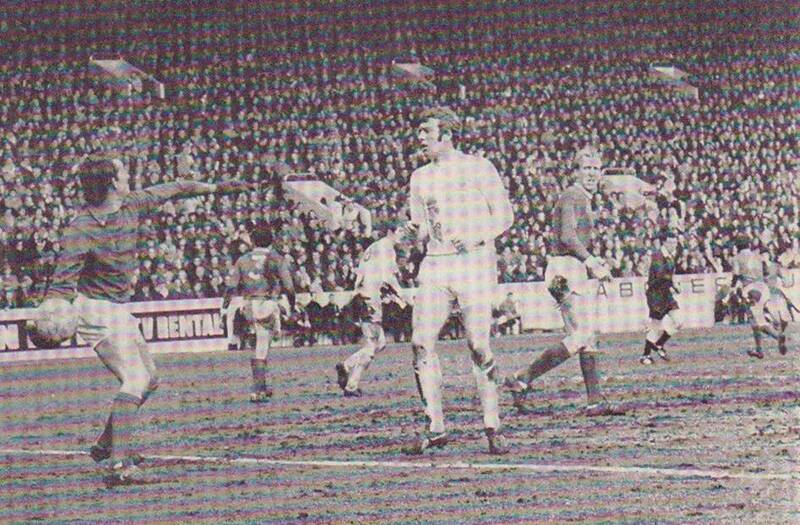 Leeds gradually came to grips with the muddy pitch and Manchester’s impetus was checked, particularly by Paul Reaney who stuck to the dangerous George Best like glue. 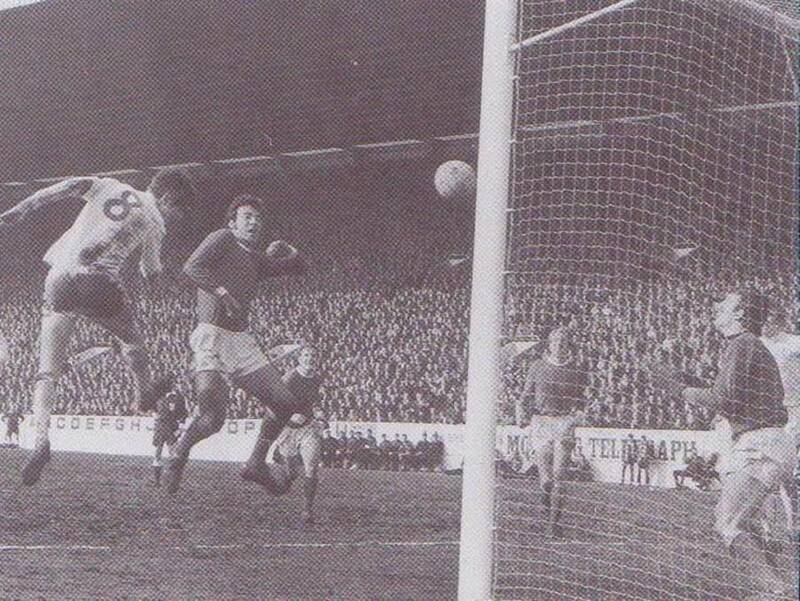 Terry Cooper, who enjoyed an excellent match, fired just over the bar after an exciting run left the Manchester defence gasping and Leeds started to get into their stride. Ure made a desperate clearance to prevent Leeds from breaking the deadlock. 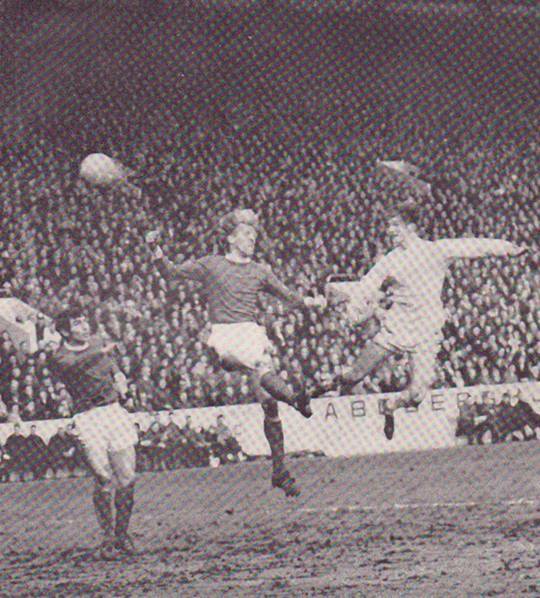 Jack Charlton headed on a Johnny Giles free-kick for Allan Clarke to arrow another header towards the goal, Stepney blocked it and Peter Lorimer hit the ball towards the goal again and Ian Ure stuck out his foot to get the ball off the line. 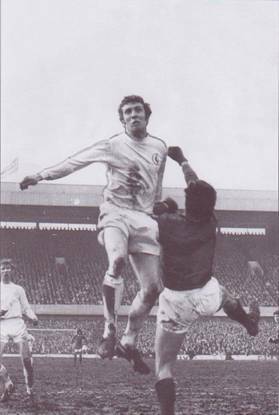 Alex Stepney, whose clean handling was a feature of the match, then plucked a close-range Allan Clarke header out of the air. 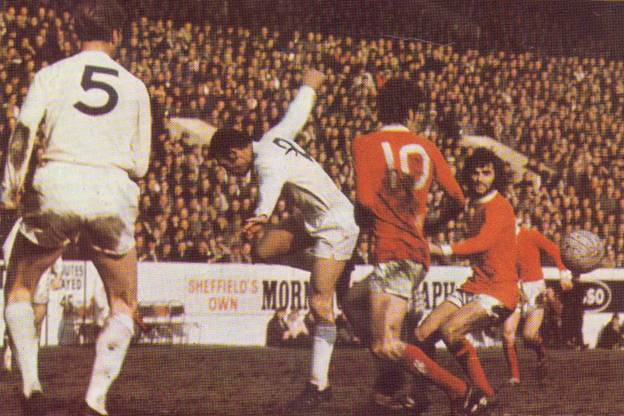 In general the defences dominated, but, if anything the Lancastrians were slightly the better team, however, neither team were able to create many chances and a goalless draw was the inevitable outcome and while it was a fair outcome it would have pleased Manchester rather than Leeds. 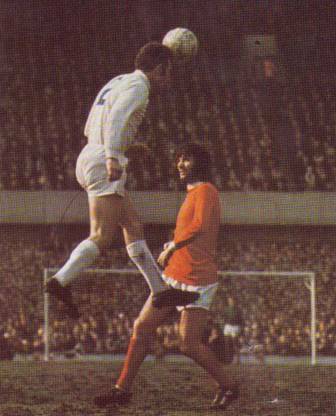 Allan Clarke gets a header on target. 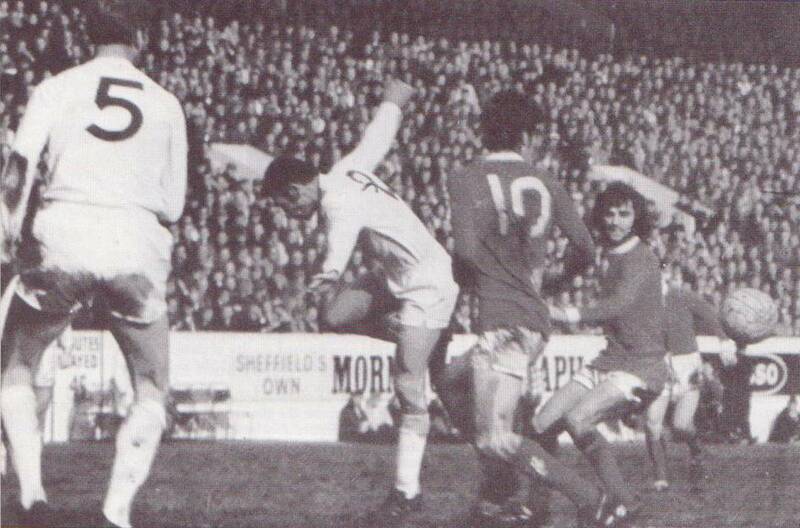 Alex Stepney punches clear from Alan Clarke. Allan Clarke, Norman Hunter, Eddie Gray, Paul Madeley. Back Row: David Sadler, Alex Stepney, Brian Kidd,Jimmy Rimmer, Ian Ure. Alan Gowling, Shay Brennan, Carlo Sartori, Jack Crompton (Trainer).